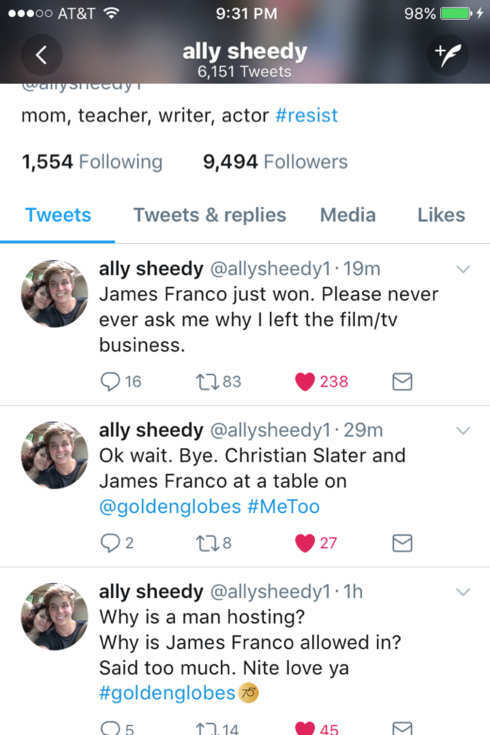 While the evening was full of empowering moments for women, James Franco’s win last night at the Golden Globe Awards was slammed by people on social media, including The Breakfast Club actress Ally Sheedy. Sheedy is best known for her roles in St. Elmo’s Fire and The Breakfast Club. According to Vanity Fair, Ally Sheedy worked with Franco on the 2014 play The Long Shrift. Vanity Fair reported that it reached out to both Franco and Sheedy but has not received comment. 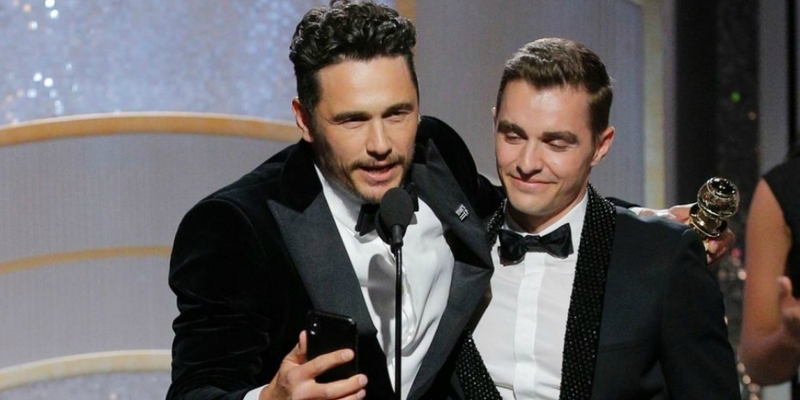 Others on Twitter found themselves discussing a different Franco-related topic, specifically the actor’s attempt to hook up with a 17-year-old via social media. In the wake of this fall’s sexual harassment reckoning in Hollywood, however, some people are now wondering if “bad judgement” is good enough for forgiveness.